The shopping bag is so useful. Here is a instant planter. 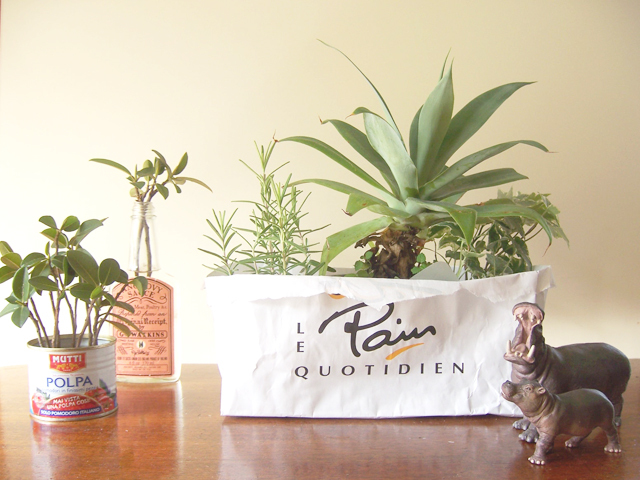 It is the paper bag of "Le Pain Quotidien" where my friend took me.